A consultancy or a similar firm is highly in demand now. If you’re planning to start one, you would be needing a well-designed website to advertise your services. The whole point of a website is to draw more customers and attract the right audience. The brilliant Consultancy Website Templates below would help you do that. Here, you would be getting a wide range of templates based on your requirements and also your budget. 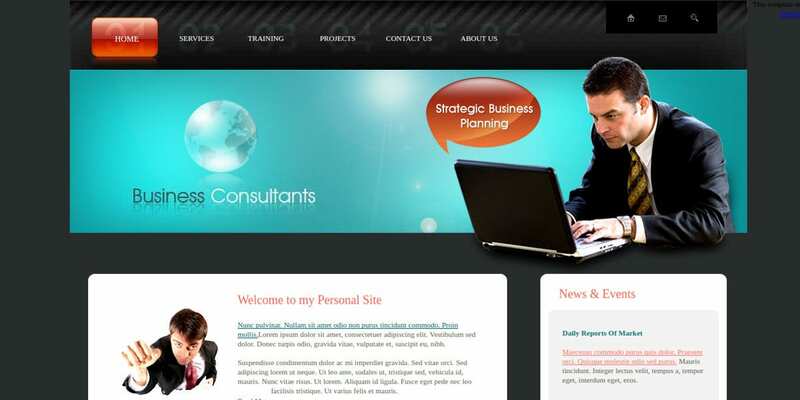 This consulting web theme can be used for both websites and Mobile Websites Themes. It has a professional touch to it which makes it look all the more attractive. Plus, the web theme template here comes with a live demo and stock images. You can use these in your web designs. A website is nothing if not responsive. The web theme template you see here would be very easy for your website users to follow and understand. It would also be easy to navigate through. The website has been kept simple and to the point and can be used in a number of different ways. 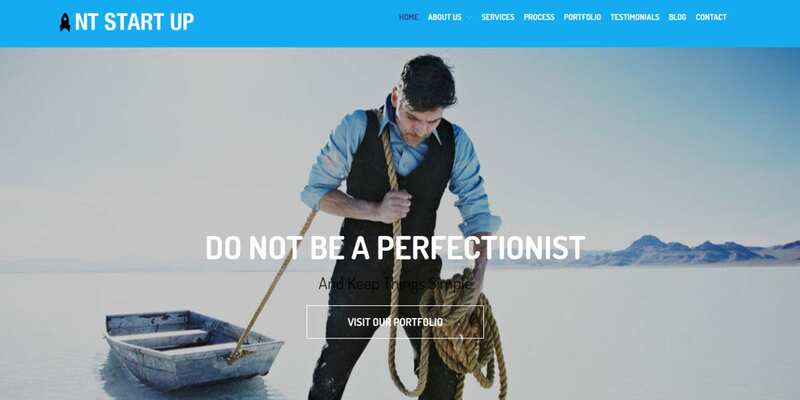 This web theme template would be perfect for a job consultancy site. The template allows you ample space to incorporate all the essential details about the service you provide and so on and so forth. The web theme has a very professional and corporate or formal look to it as well. 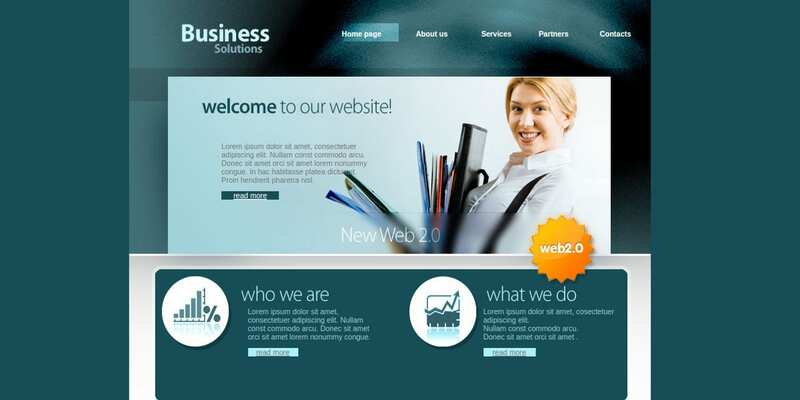 This web theme would be perfect for business consulting companies. You can mention certain essential information about your company on the website in the respective places. This web theme is fully customizable and you would be able to modify the theme according to your needs. 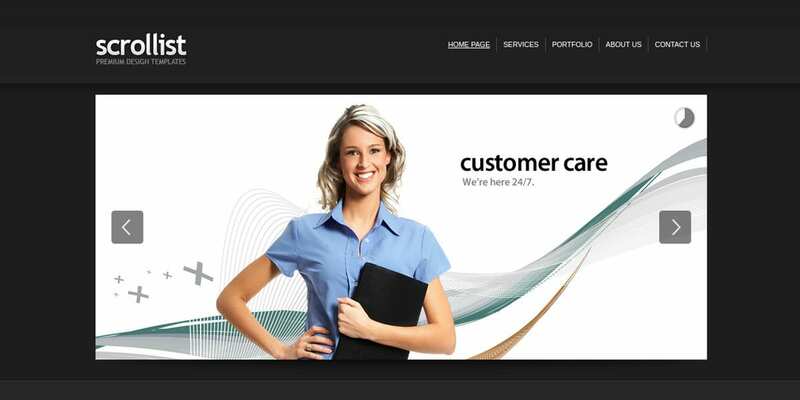 This Responsive Website Theme comes with the stock photos. In other words, you would be able to use the images that you see in the demo for the template here. Apart from that, you would also be able to insert your own images on the website as well. You can download the template and modify it to suit your needs. 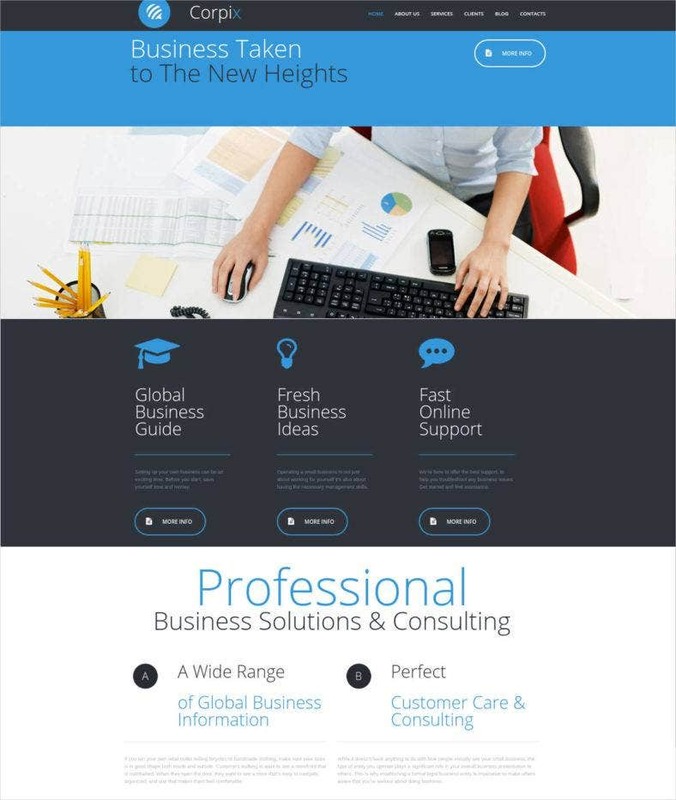 This web theme template would be perfect for start-ups that deal in consultancy. Any company in this industry should download the template and then tweak certain details to make sure it goes with the overall theme. Also, it uses high-resolution images and text that can be edited. 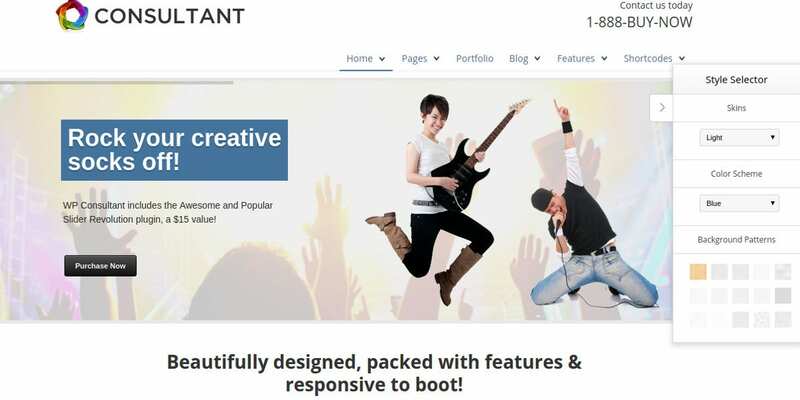 This is a clean, easy to use, and modern Responsive Website Theme. It comes with a responsive layout, Google fonts, a gallery section, a developer friendly HTML5 code, and CSS3. 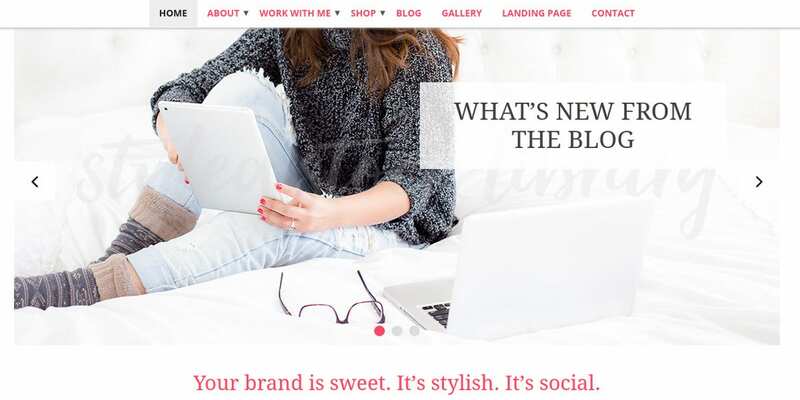 Plus, the web theme template is a multipurpose one that could be used in creative and imaginative ways as well. 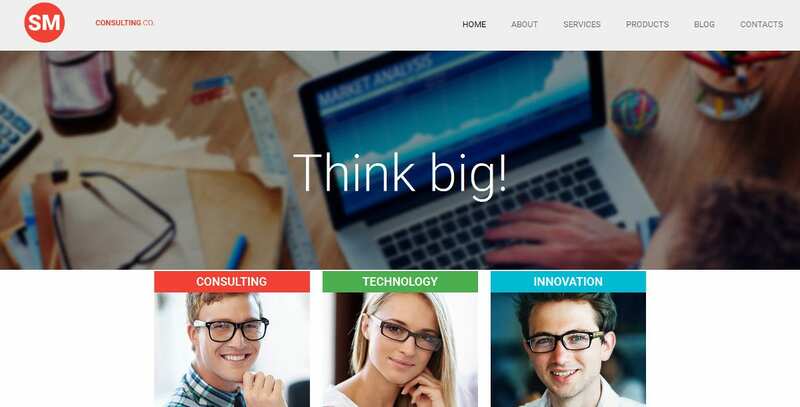 This web theme template for companies that provide consulting services comes free of cost. 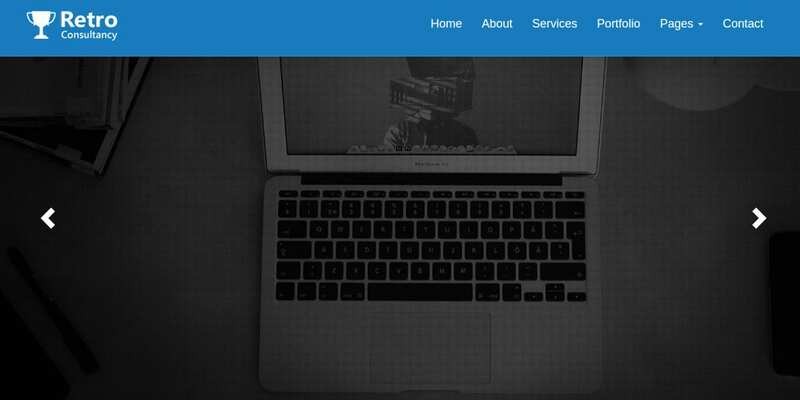 Thus if you have a limited budget for your web design, this is the template for you. You can download the template and then edit the details on it to make sure it goes with your needs. This template has been designed for consultancies and other companies who provide similar services. It is fully responsive and would provide an easy to use browsing experience. Also, it comes with a drag and drop editor that makes it easy for you to customize the web theme when you need to. This website contains a darker background which allows the lighter shades and the text to shine through. It has been written in HTML5 and CSS. It has a fixed width within which you must incorporate all the information about your company. You would also be able to use two columns in the image. 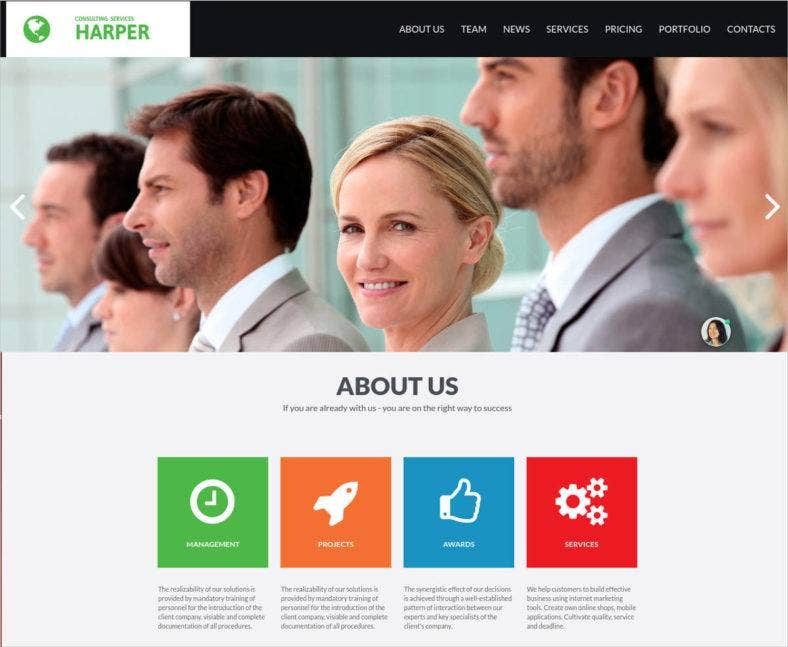 This web theme template looks professional and would be perfect even for large corporations. With lighter hues and formal tone throughout the template, it is bound to look very eye-catching and appealing. Also, the template is responsive, smart, and modern and comes with a developer friendly layout as well. 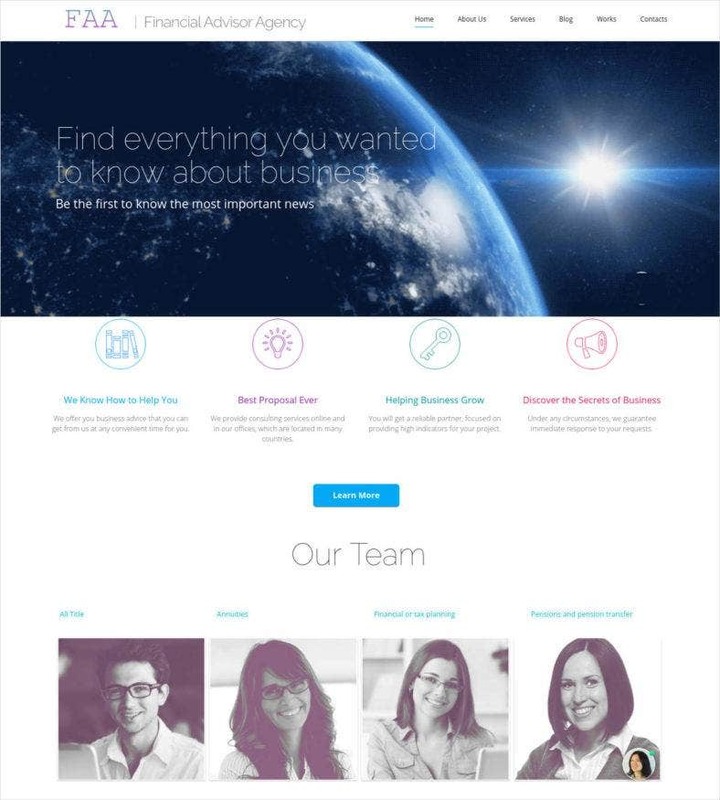 If you’re a part of a company that provides consultancy solutions, you can take a look at this Free Business WordPress Template. It would allow you to organize all your data and information in a neat and tidy manner across the page. You would also be getting stock images to use. You may also edit it to suit your needs. 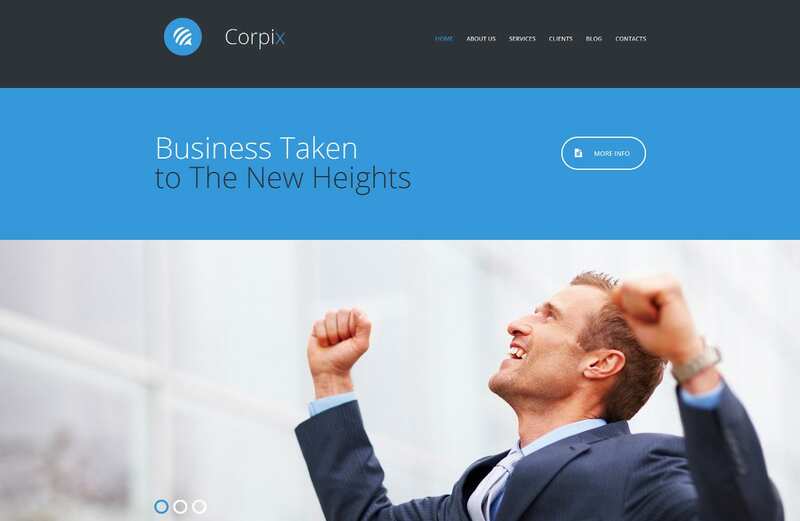 This Business WordPress Theme would be perfect for consulting companies, investment firms, financial advisors, accountants, loan and insurance firms and so on. This is a flexible and responsive design which may help attract wider audiences. Also, it has hover effects and impeccable layouts that make it easy to use as well. For any kind of consultancy or firm, this template would be perfect. It allows you to design a website that is smart and user-friendly. You can design websites for both desktops and mobiles here. Also, the template is fully editable which definitely makes it a popular choice among developers. 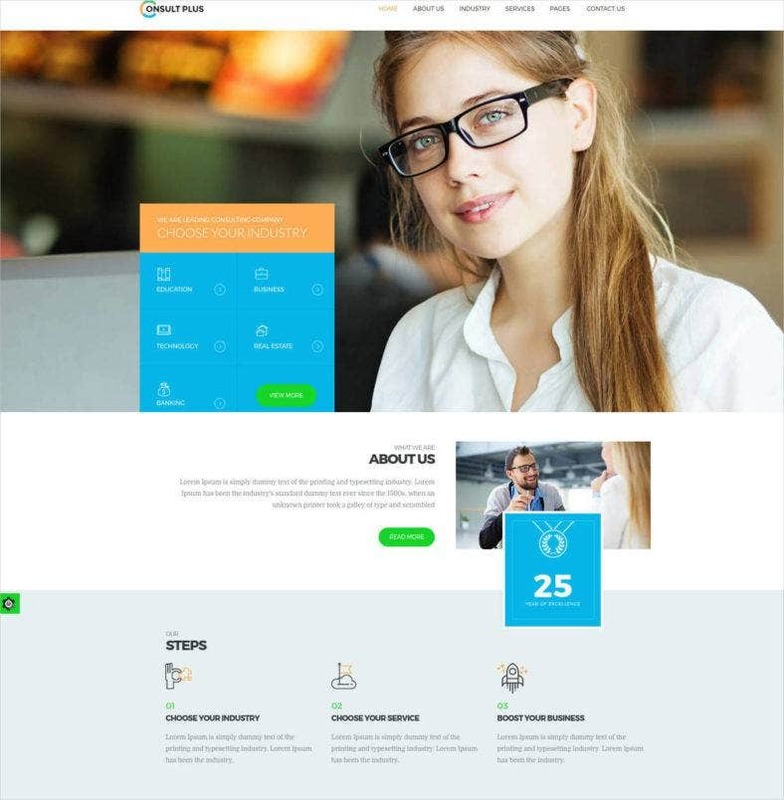 This amazing Free Business Theme comes with the following features – page builder, retina ready layout, a well-designed admin panel, stock images, search engine optimization, custom header, a wide range of Google fonts, responsive layout, customized backgrounds and sidebar, video demo et cetera. Also, it is fully documented and translator ready. 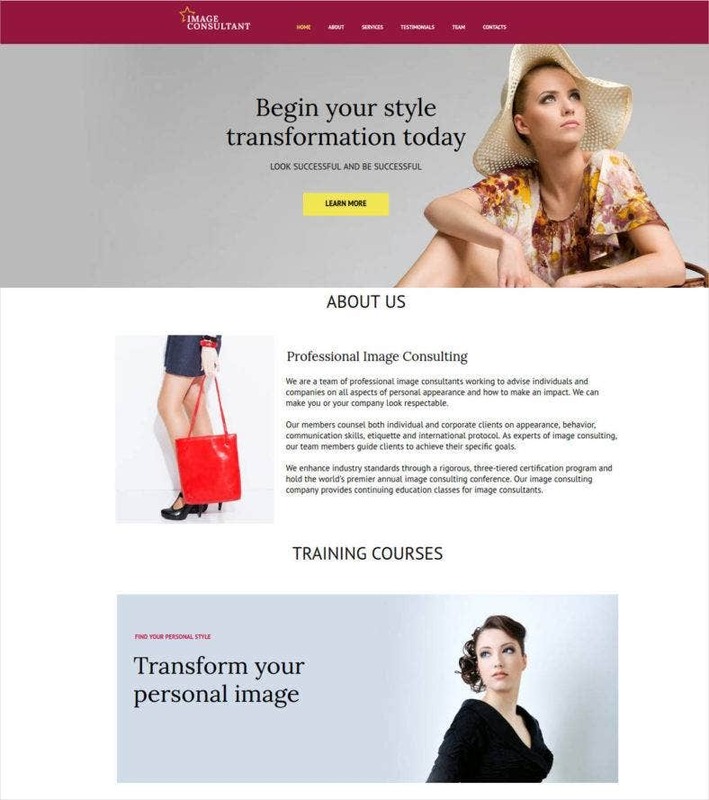 If you own a consultancy firm or are planning to start a Free Website Template, you need to take a look at these templates. All of them come with responsive layouts that are modern and well-designed. They have been developed by the pros especially for you and would come in handy.